Search Engine Optimization is a vital tool when owning a website. Here are 3 top tips on how to get started on a successful SEO plan. When owning a website paying for AdWords is not enough to get noticed in search engines and can end up costing more than it’s worth, Search Engine Optimization (SEO) is the most organic way to be seen in search engines. Although there is no guarantee you will be on the first page of Google, SEO is the necessary method to at least get listed under searches relevant to your services and products. The main aspect of SEO is keywords – using the correct words associated with your business that lets searchers find what they are looking for. Researching the best ones to use with your business is the first step in creating an SEO plan. Take for example someone is looking for a cake maker. What words can be associated with the business? It could be cake baker, wedding cake, birthday cake or even cupcake party towers. Picking the correct keywords, ones that are most likely to be used in a search, are vital. Knowing these terms can also help with building the content for your website, as this is where search engines obtain the information necessary to list your website. 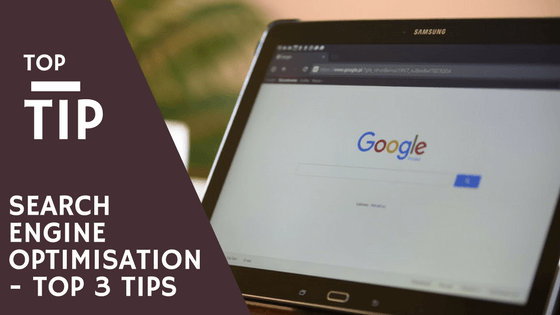 If the search keywords do not match the content on your website, you may obtain visitors to your website that are looking for something completely different to what you are offering. When choosing keywords from your researched list there are three things that need to be considered. First should be the frequency or number of times the terms are searched. It is logical to pick those terms with high search rates. However, consider how common the word is and if it will help differentiate your business in the search results. This takes us to the second consideration – competition. A large well established website may rank higher for commonly searched words like wedding cakes. However, using a little less commonly searched for term can help new, smaller websites get noticed. These terms are known as the ‘long tail’ of SEO. ‘Long tail’ terms are things such as Cupcake party towers in Leeds which may give you more immediate SEO results. For a small business this can often be where your better SEO opportunities lie. Providing better ranking opportunities with less effort than using a more commonly used search term. Thirdly, and the most important consideration, is that of relevance. As mentioned above the keywords you pick have to be relevant to your business and match what you are offering. If someone is looking for a cake stand rather than a cake maker, they are more likely to ‘bounce’ – when a visitor to your website visits for a very short period of time. To discover how effective your keywords are and to review your SEO plan use Google Search Console. This can show you how many times your page is showing in results and for which keywords, it also can show how many clicks those keywords are getting for you. One thing you must not do is add extra keywords or numerous variations of keywords to your page. This is dislike by search engines and they won’t list your website for keyword stuffing. So to recount – when selecting keywords consider Frequency, competition and relevance. This will keep you on track for successful SEO. RedRite can help get you a basic SEO plan in place, or if you have one already we can modify your content to help increase your SEO ranking. Get in touch today.